Are you a business owner or manager who is constantly frustrated with not being able to control your time and get everything done? Life is busy, we have a lot of things we want to do both in our personal and business lives. Some people are blessed with a natural talent of being able to manage their time and look to have everything under control. For the rest of us (probably 90% of the population) time management just doesn’t seem to work for us. A lot of us will attend time management courses, learning how to set SMART goals, how to plan the activities to achieve them, how we have to focus on them every day. We leave the course all fired up on what we are going to do and when we arrive back at the office the next day, the phones start ringing, people are at your doorstep, problems pop up, etc, etc. By the end of the day, we have done nothing with our new planning process and by the end of the week, the course and the new process is just a memory and we are simply doing what we have always done. It’s is because there is more to learning how to manage your time than just going to one day course where someone shows you to set goals and how to achieve them. 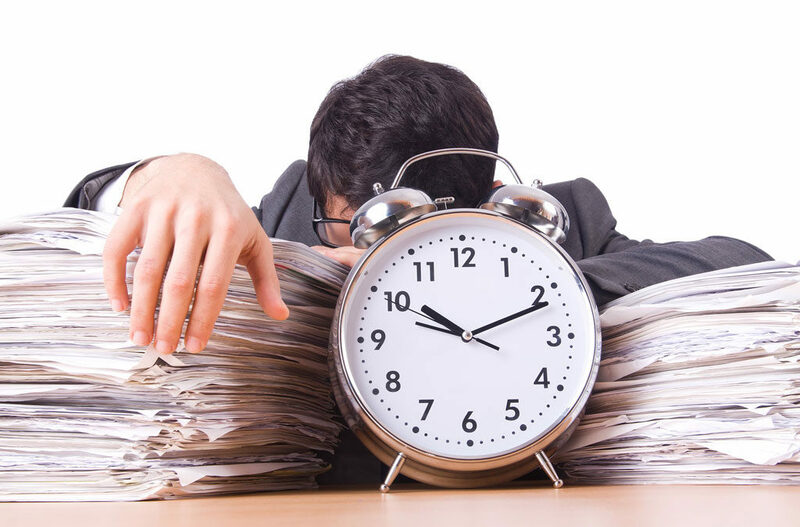 As a business owner or manager, there are some critical points to understand with time management. To make the necessary changes in your life to become good at managing your time and getting those important things done on time, the change must start from within. You have to commit yourself to making the change, have the courage to stand in the face of anything that tries to stop you from making the change and to persevere day in and day out to make the changes. Most resistance will come from within yourself.When you first started walking, you fell down, again and again. If you didn’t persist with trying to walk you would not be walking today. If the plan you make today doesn’t work, then make tomorrows plan and make it work. Not every day will goes as planned. But the more you persevere, then more and more days will work as planned. Review each week, month, quarter, year.“A good time manager doesn’t have time and then plan, they have time because they plan”There is no chicken and egg theory here, you will never have the time unless you plan. The saying, “I don’t have time to plan” is rubbish. Your lack of planning is why you don’t have the time. Procrastination is the biggest killer of time management, it leads to failure. Procrastination means you are putting things of and avoiding doing them. They are generally things you are uncomfortable doing, it may take a long time to do, it may cost you money etc. These things are on most occasions, the most important things you need to do to achieve what you want to achieve and yet you will put them off. The worst thing is, you know your are putting them of.The main reasons you procrastinate is because you don’t have a clear enough picture of what you want to achieve, have no real goals and no action plan in place to guide you. By working through the planning process, you will reduce procrastination significantly, as you will have a clear picture on why you need to do it now. It is great to have a plan and have a do it now focus, but if you do not know how to elimination distractions and have the determination to not let distractions get in your way, your time management will be nonexistent.You will need to set a process in place to clearly understand what distracts you. The Time Retriever Distraction Buster tool is great for this. Once you understand who and what distracts you, you can start eliminating these distractions, starting with what or who distracts you the most.Emails, phone calls, interruptions etc all need to be managed in a way that enables you to focus on the important things you have planned to get done. One of the biggest areas of distractions for business owners and managers is your employees/ team members. Learning how to manage people is critical to good time management. The amount of issues you have when dealing with people is infinite, a plan of continued learning and mentoring on people management must be in place if you want to improve your time management skills. This is the most difficult part of improving your time management skills. The process has to start from within. To improve your time management skills, you have to change yourself. Human beings live their life within entrenched habits and patterns that have been developed over years, even decades and when we try changing and going outside of those patterns and habits, our natural instinct is to draw back to what we know and are comfortable with. Even if that habit is bad for us, we naturally want to stay within that habit, because we are comfortable with it.When we say start from within, it means we need to change our internal (subconscious) thoughts that have developed inside us over years. We all have a past, we all have a future, and whether our future is what we want will depend on how we change our thoughts. You have seen people that live in the past and struggle to move forward, but to move forward you need to use the past as your education and utilise positive thoughts to achieve your future.Achieving high levels of skill in time management will only happen if you are prepared to change your habits and patterns. To become skilled at time management will take time, it is not an overnight or one day course change. You will need to commit to each of the 5 steps above to create this new skill.If you really want to create significant improvement in your time management skills, seek out a coach or mentor who understands each of these points vividly and can take you through the process of learning, implementing and creating fundamental changes in the habits and patterns of your life.Kick the “I don’t have the time mentality”, make the decision that I am going to get control of my time and my life today. Commit to following these 6 points and start to enjoy the results.